BA in Music from CSUEB in 1999. SAA Teacher registered through book 6. Played with the Livermore-Amador Symphony, Freelanced with “BaysBest.com” quartets for weddings; current Concert Master of Victor Valley College Orchestra, current member of Ihmsem Ensemble and Previous Board member of MTAC and regularly performed for Teacher Recitals. 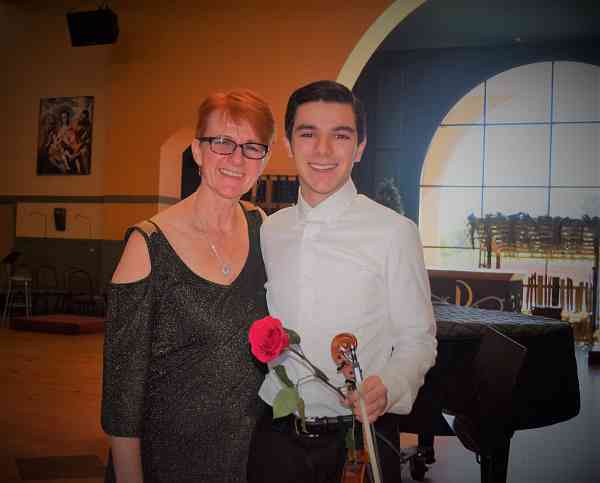 Love teaching the Suzuki Method to all ages!….. for 30 years now!